Sommer had purchased a longer lens, a Turner Reich Triple Convertible with enough coverage at infinity, to take distant landscapes by the winter of 1938. He used this lens to photograph at the Grand Canyon, about two hours north of Sommer's home in Prescott. 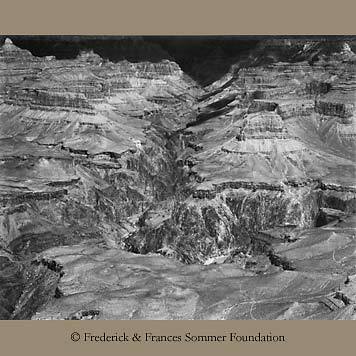 He traveled there, probably with his friend Faurest Davis, in 1940 and 1942 taking pictures from various lookout points along the South Rim.